It took me a full minute to realize that the mess in my hands was all that remained of my face. I didn’t have a mirror to check the damage, but I could see part of my nose and a tooth glistening white amongst the reds and browns. 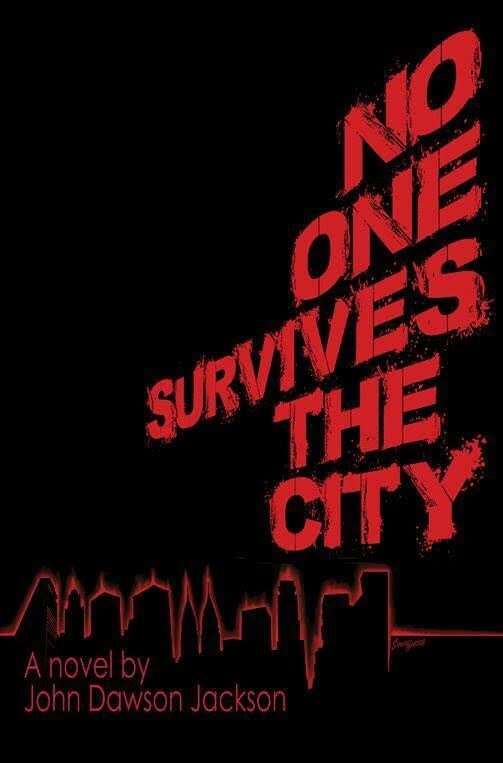 I couldn’t stand, not yet. I could barely breathe. I remained on my knees, begging at the altar that was a back alley dumpster, a rat for a priest, and a moon for a votive candle. I wanted to scream, but I didn’t have enough air in my lungs. I wanted to cry, but I was afraid my eyes would come tumbling out of my head to land on whatever the hell was left of my cheeks. I wanted a lot of things, but wants in Castigation were often left in the gutter beside the bodies. 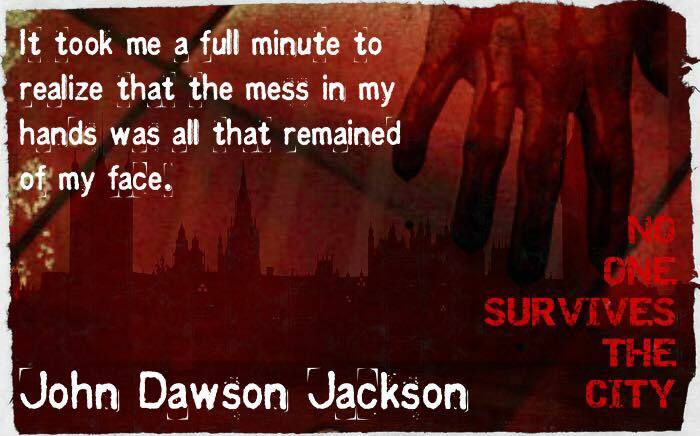 Born in a ditch beside a busy highway, John Dawson Jackson never knew his parents. Taken in by wealthy philanthropists Mr. and Mrs. Cornelius Elmo Jackson, he was trained from the age of two in classical piano. A horrible accident left his arm damaged, ending his dream before it began. He was forced to undertake control of his adopted father's oil business, a company that allowed him to travel the globe and explore the far reaches of civilization. As he studied the ancient carvings of the Mesopotamians, he realized just how much of our history has been covered up by powerful people. These findings have been collected into his new novel The Relics. 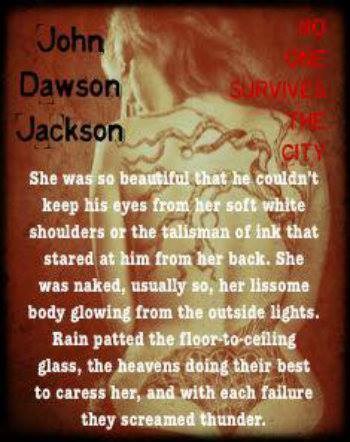 John Dawson Jackson is an independent author based ou Born in a ditch beside a busy highway, John Dawson Jackson never knew his parents. Taken in by wealthy philanthropists Mr. and Mrs. Cornelius Elmo Jackson, he was trained from the age of two in classical piano. A horrible accident left his arm damaged, ending his dream before it began. He was forced to undertake control of his adopted father's oil business, a company that allowed him to travel the globe and explore the far reaches of civilization. As he studied the ancient carvings of the Mesopotamians, he realized just how much of our history has been covered up by powerful people. These findings have been collected into his new novel The Relics. 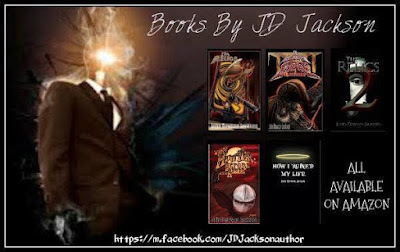 John Dawson Jackson is an independent author based out of the Knoxville, TN area who has a broad spectrum of interests. Predominantly, his novels integrate the genres of fantasy, history, and horror with intriguing mind bending qualities. 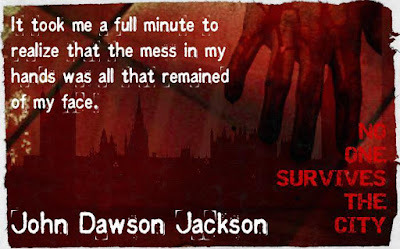 All of his works are based in the supernatural and exist within the same universe- a sometimes frightening, but always exhilarating place where Jackson enjoys playing with the interconnectivity of what is real, myth, and rumour.